Classification folios offer document or printout storage in six separate sections so you can present complete files to clients. Ideal for advertising, desktop publishing and organizing data and reports. 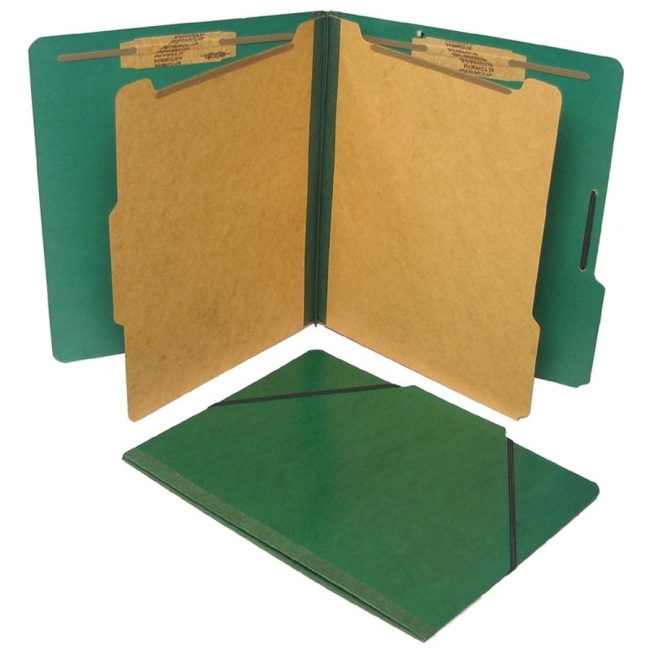 Sturdy covers are made with embossed and coated 25 point Pressboard bonded with long-lasting Tyvek gussets and resist moisture. Each classification folio includes two dividers and six sections with fasteners. 2" metal fasteners are permanently affixed to the inside front and back cover, and metal double-sided fasteners are on the two 17 point kraft inner partitions. Elastic closure holds contents in place. Overall expansion is 2-1/4". Each folio contains a minimum of 30 percent post-consumer material.